Precision temperature sensor with MODBUS RTU interface. 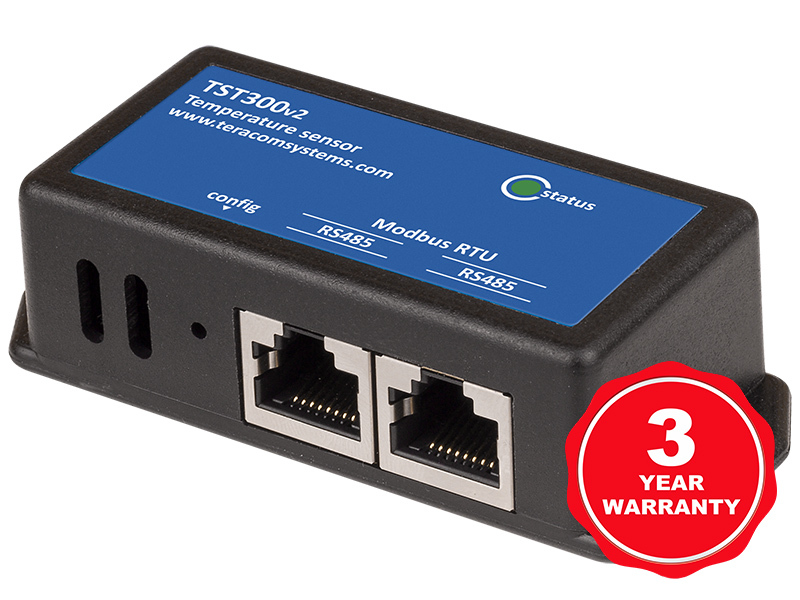 TST300 is a precision temperature sensor with MODBUS RTU interface and -20 to +60°C working range. 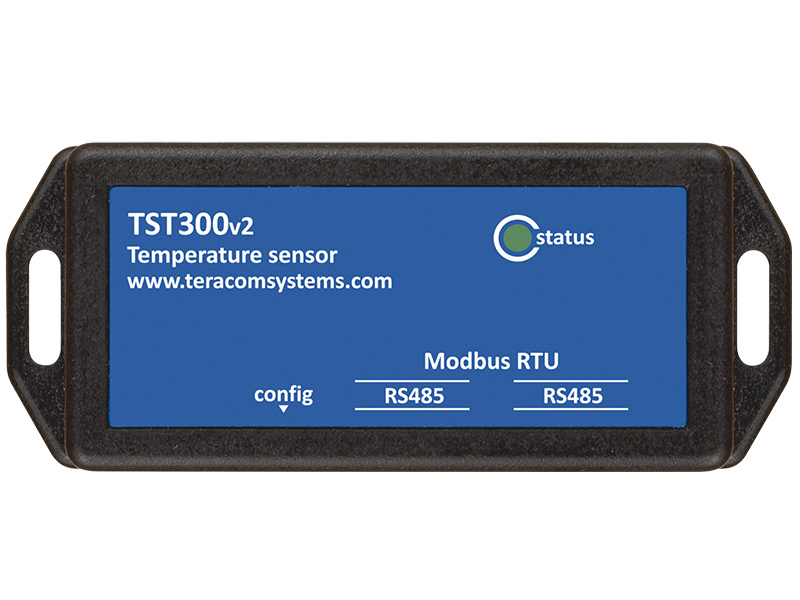 TST300 is a precision temperature sensor with MODBUS RTU interface. The device doesn’t need an external power supply, it is powered through the interface. It is an excellent solution for precision temperature monitoring and control. The temperature sensor integrates a band-gap temperature sensor element plus signals processing and provides a fully calibrated digital output. The temperature sensor is factory-calibrated. It focuses on applications that require precise temperature monitoring – server rooms, offices, drug and food stores, etc. It is also suitable for smart office applications, as well as for data loggers and thermostats. The temperature sensor provides high measurement accuracy as low as ±0.13°C in +20 to +60°C range. It works with 12 bits precision from the onboard digital-to-analog converter. The current consumption is lower than 5mA, while the supply voltage is from 4 to 5.5VDC. 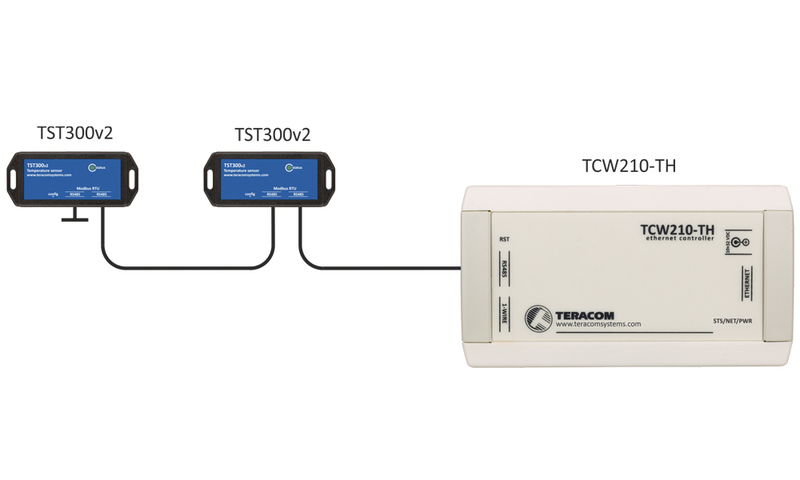 TST300 communicates with controllers over an RS-485 interface. Each sensor has a unique serial code, which allows multi-sensors support over the same RS-485 bus. 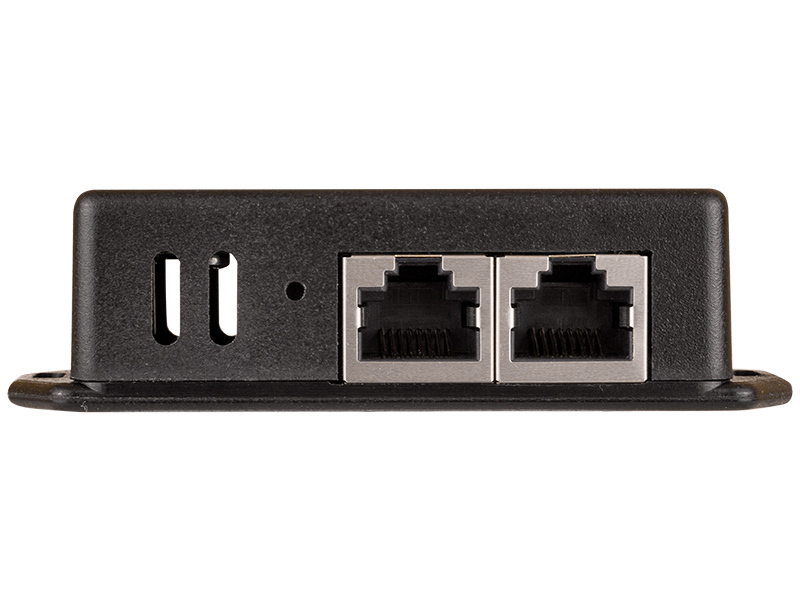 The digital temperature sensor utilizes two RJ45 connectors for an easy daisy chain wiring. Standard UTP/FTP patch LAN cable can be used for interconnection between the sensors and the controller. Each device has a unique 64-bit serial number. Temperature monitoring in building management systems.